As per a recent report published in Times of India, giving respite to those who passed LL.B. 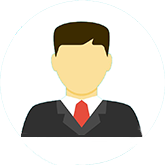 degree on or after June 30, 2011 and have enrolled themselves with the State bar Council the bar Council of India has permitted them to appear before the courts as an advocate without clearing the all India by examination, also known as a AIBE. The decision will help several lawyers who were unable to practice becasue they had not taken the BCI exam. The decision to allow such law graduates to practice before the courts was taken recently by BCI. As per the resolution all law graduates enrolled in various State bar councils across the country will act as falls fledged advocates, subject to giving an undertaking that they would later appear for the BCI exam. 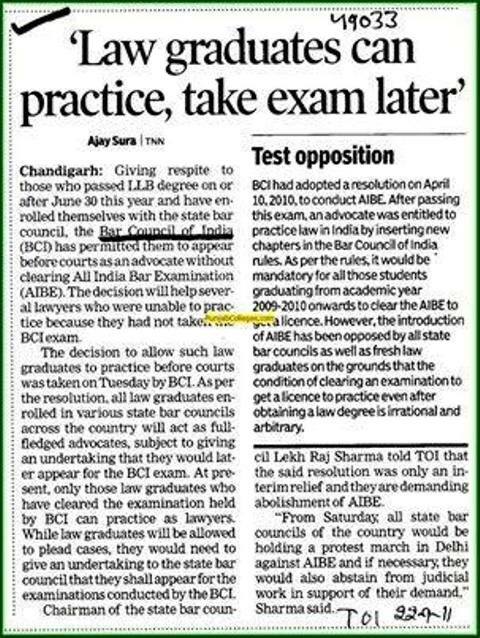 At present only those law graduates, who had cleared the examination held by the BCI can practice as lawyers. While law graduates will be allowed to plead cases, they would need to give an undertaking to State bar Council that they shall appear for the examination conducted by the BCI. Chairman of the State bar Council Shri Lekh Raj Sharma, said that the resolution was only an interim relief and they are demanding abolishment of AIBE. He also said that Soon all State bar councils of the country would hold a protest march in Delhi against AIBE and if necessary they would also abstain from judicial work in support of their demand. Updates : AIBE 5 to be conducted on 25th August of 2013.